Shopkins #16 - MyMagazines - Subscribe online and save. 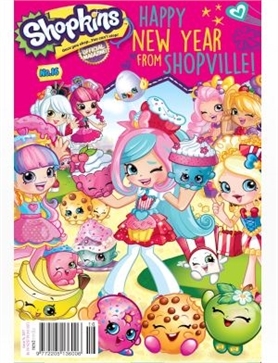 The latest Shopkins magazine is packed with lots of fun stuff! Inside this issue you can learn how to make a trendy scarf and discover more about your favourite Shopkins and Shoppies. You’ll also find a cool Chef Club Sprint game, sweet colouring, awesome posters and more. Grab your copy now!